September is a busy month in the garden. It may seem that everything is slowing down but that means that plants can be dug up and moved in some cases. You can sow hardy annuals now too. 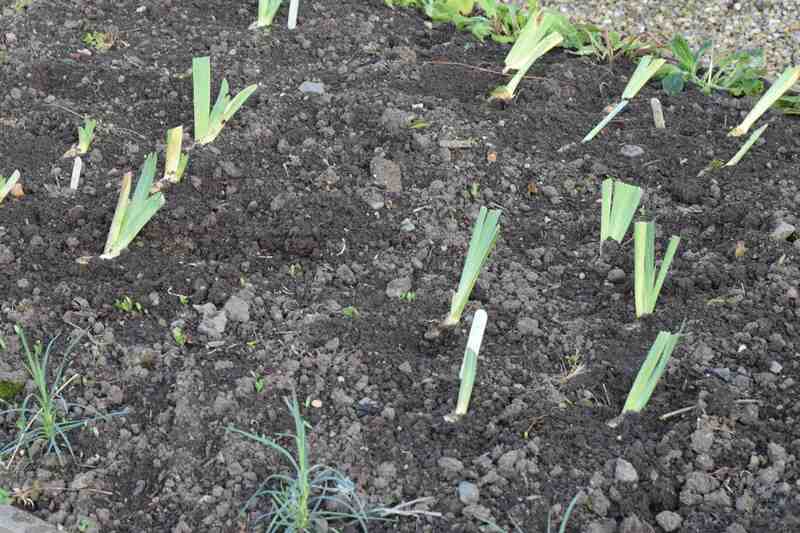 Of course there are bulbs to plant and you need to get your skates on if you want to plant autumn-flowering bulbs. The next month or so is when we should be planting biennials for spring displays including myosotis, wallflowers and sweet Williams. 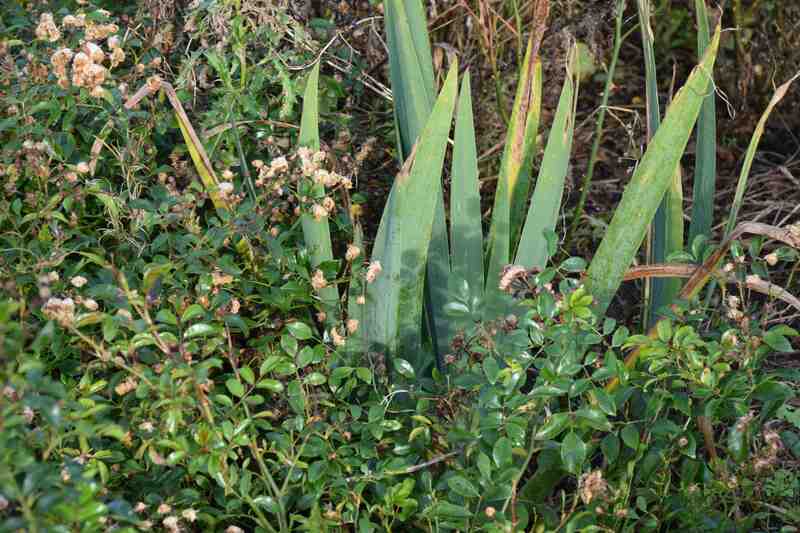 Don’t leave it too late or the plants will not be established before winter and will not make a good display next year. While the soil was moist and there was rain forecast I took the opportunity to divide and replant the Barnhaven polyanthus. These have been in their permanent beds for almost two years and they had become large clumps. If not divided, they tend to form woody, bare stems at the base which grow out of the soil and they lose vigour. They benefit from being cut into sections and replanted in fresh ground. Of course, they will wilt a bit and need to be watered to help them establish. Another job that has been on my list of to-dos was to replant the bearded iris. I would have preferred to do this last month but September is just about OK for Ireland – the important thing is that it is done at least six weeks before the date of the first frost. Here this is not usually until early November. In some cases the iris had become infested with weeds and in others the ground cover roses had infringed on their space (below) – not good since the iris prefer to have some sun on their rhizomes and they hate to be swamped by weeds – which leads to poor growth and rhizome rot. So the clumps were dug up and the strongest fans of leaves cut off with 5-10cm of rhizome. If there was sign of rot on the rhizome this was all cut off, even if it meant the remaining rhizome was smaller than I would like. The foliage is then trimmed to around 15cm. This helps to prevent wind rocking the plants as the new roots grow and also prevents loss of water from foliage. 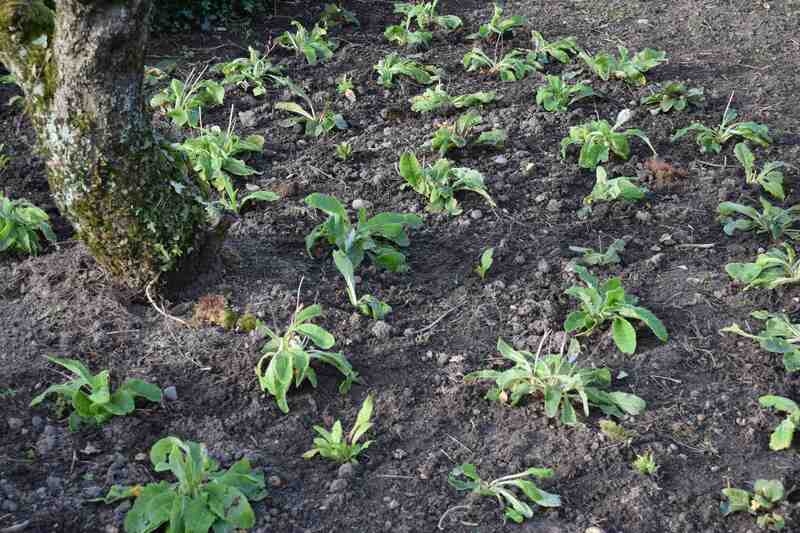 They are replanted in a new bed that has been carefully cleared of any perennial weeds. The plants tend to grow in one direction, until the rhizomes branch, so I plant them so the direction of growth is to the north, so the leaves do not shade the rhizomes – do the opposite in the southern hemisphere. Do not cover the top of the rhizomes with soil, especially if you have heavy soil, as here. I’m dividing and moving bearded iris today-should have done it last month…We have problems with heaving the first winter,so gardeners here put a half brick or rock on each rhizome.Freezing and thawing kill,rather than cold.